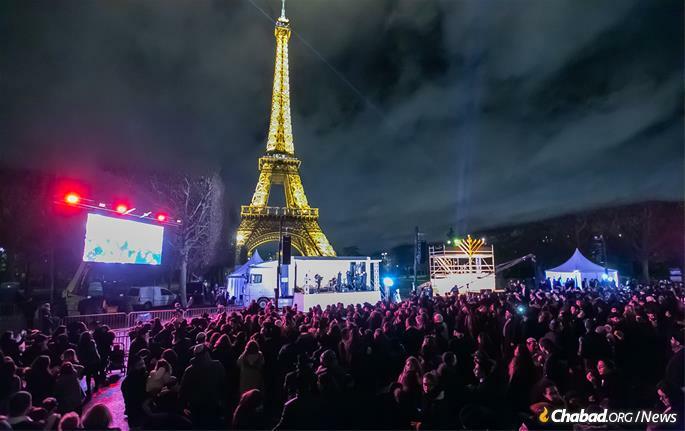 As many as 5,000 people gathered near the Eiffel Tower for Chabad-Lubavitch’s main public menorah-lighting just hours after violent riots took place in the center of Paris. 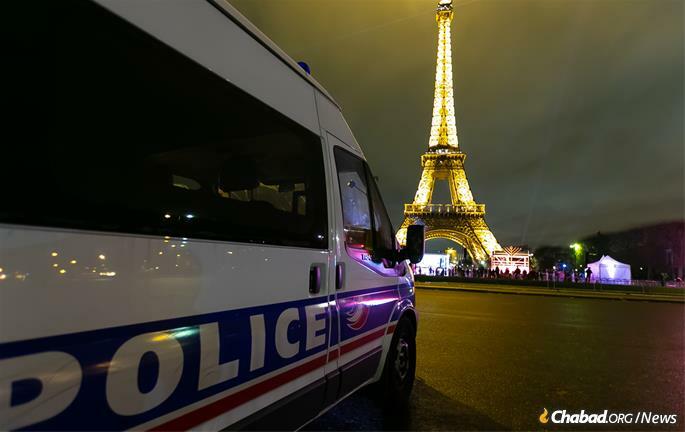 While largely peaceful protests had been taking place in Paris for two weeks, on Dec. 1 those protests turned violent, with more than 400 arrested and 133 injured in the city’s worst rioting in a decade. 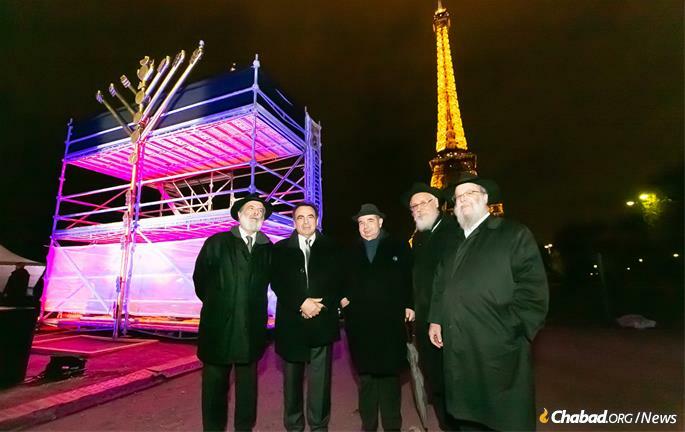 Despite the unrest, Chabad of Paris was determined to move forward with the planned lighting on Sunday night. 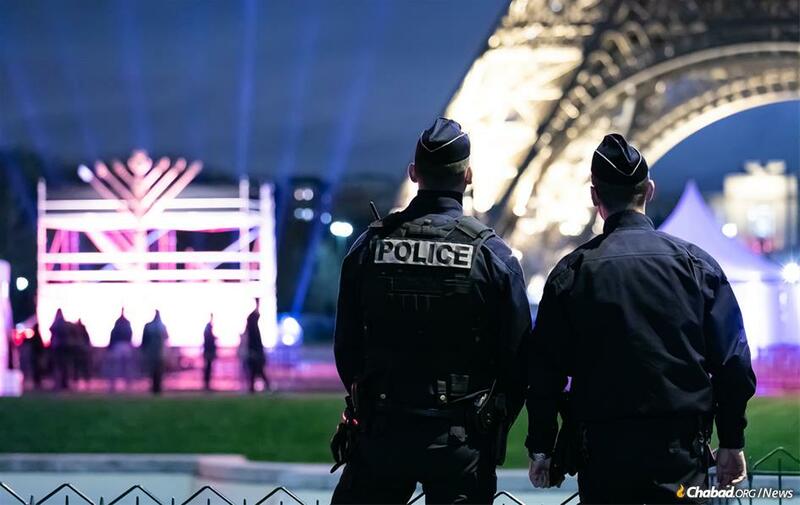 Chabad worked closely with Paris police and SPCJ, the French Jewish Security Service, to implement additional security measures in light of the riots. Police closed off a larger-than-usual perimeter to ensure participants’ safety during the event, and extra officers were on hand. The heightened tension did not place a damper on the event, with Parisian Jews singing, dancing and celebrating with the joy and enthusiasm for which they are known. 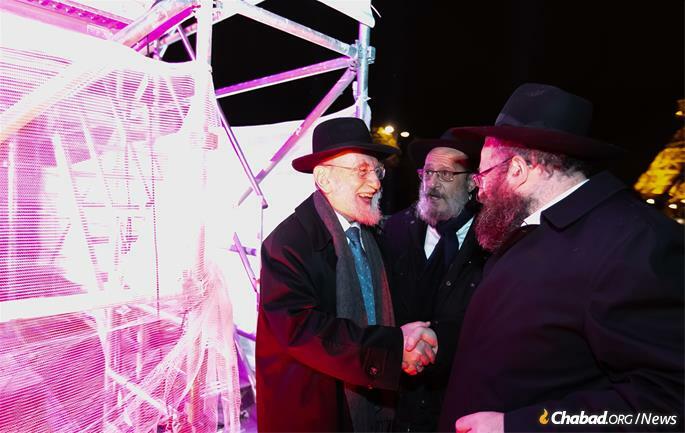 Participating in the menorah-lighting was Paris Chief Rabbi Isaac (Michel) Guggenheim, as well as Israeli Consul Michel Lugassy-Harel. 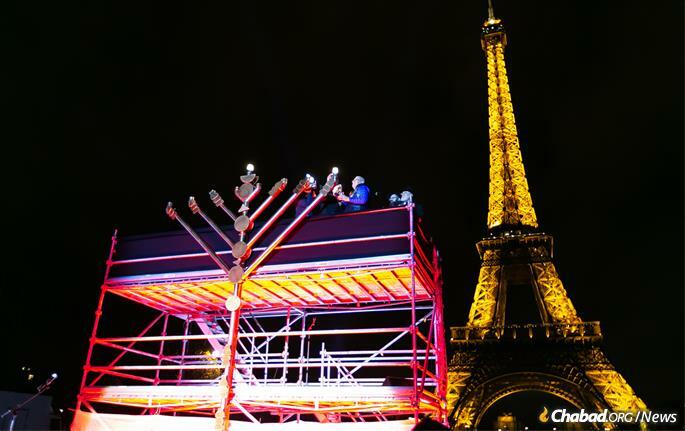 The mayor of Paris, Anne Hidalgo, sent her wishes for a Happy Chanukah. 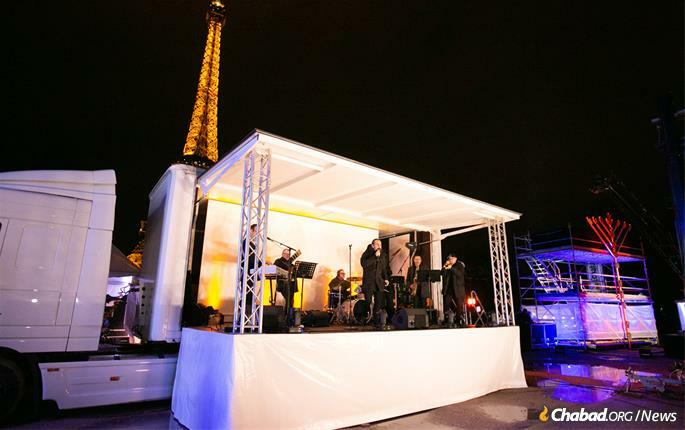 A live orchestra played joyous tunes, and Israeli singer Nemouel Harroch performed. Thousands more watched the event live via Chabad.org/live, which streamed menorah-lightings across the globe, including in Israel and in Washington D.C. 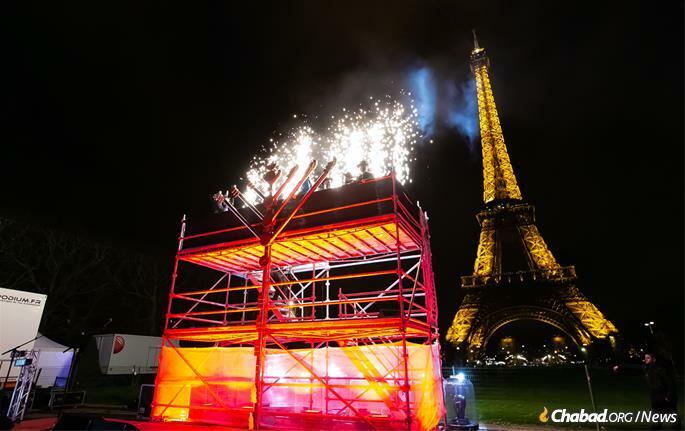 The event was synchronized with lightings at the Western Wall in Israel and at Lubavitch World Headquarters in New York, which were shown in Paris during the lighting. Parisian Jews are no strangers to adversity and anti-Semitism, as less than four years have elapsed since four Jews were brutally murdered in a terrorist attack in a Jewish grocery store in Paris. This year, following the horrific Pittsburgh massacre that claimed the lives of 11 Jews, record crowds are expected at menorah-lightings worldwide as Jews respond to the recent rise in anti-Semitism with displays of Jewish pride and resilience.